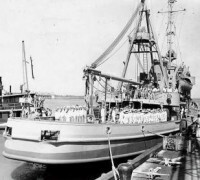 Propulsão: Diesel; 2 Engines 16 Cylinders; General Motors Model 16-258S with 2.000 bhp, 2 shafts with 3 blade propellers. 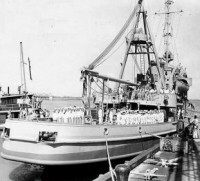 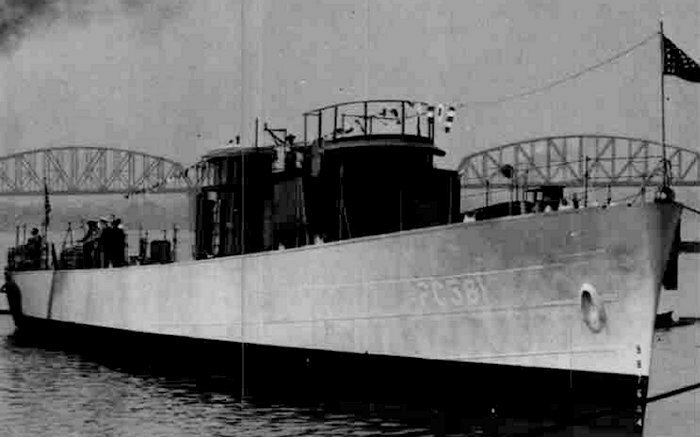 USS PC 561, was built at Sullivan Dry Dock and Repair Co., Brooklyn, New York. She was launched 1st/May/42 and incorporated to the Brazilian Navy on 11/Jul/42. She was transferred and incorporated to the Brazilian Navy 30/Nov/1943 when was renamed as Grauna in a ceremony held at Miami, Florida.